Hit It Rich! 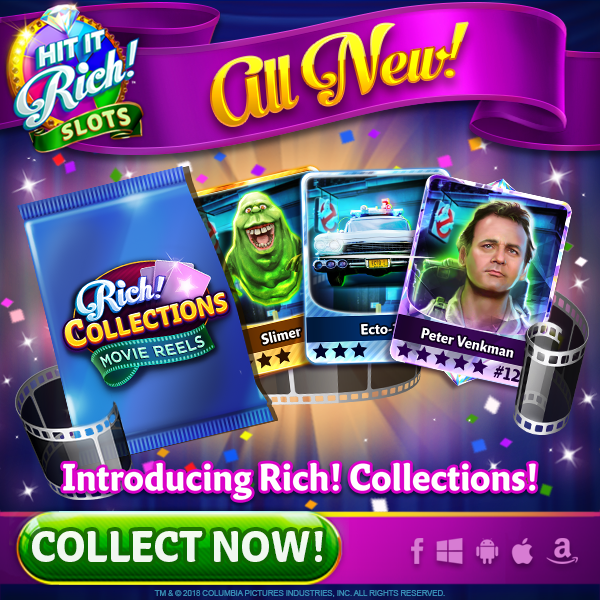 proudly presents our newest feature…….Rich! Collections: Movie Reels!! Spin on ANY machine to collect cards from your favorite movies, like Ghostbusters! Complete a set and get rewards! Complete the whole collection and win HUGE coin rewards! So get out there and start your collection today!